Berlin is alive with reconstruction. The city is creating lovely public spaces and impressive new buildings. It is also producing vast amounts of debris – a source of inspiration for good design. Elliot believes in the rebirth of found objects. 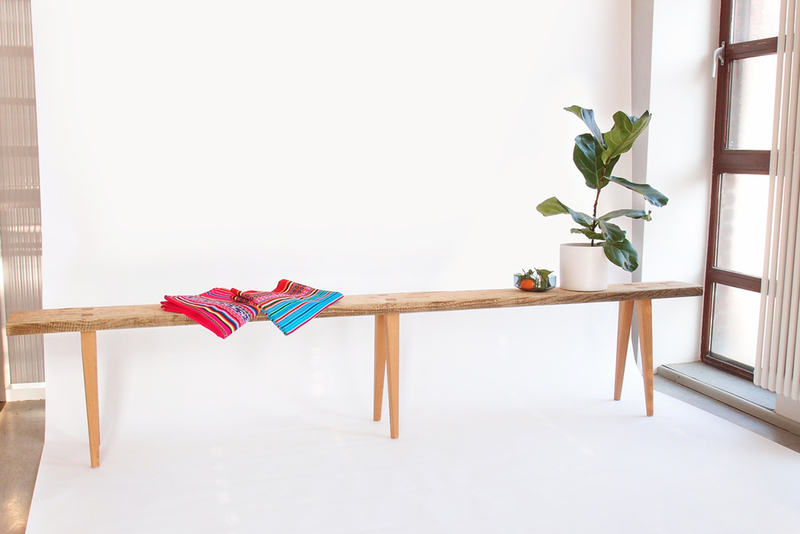 Using discarded lumber from Berlin construction sites Elliot transformed the lumber into The Basic Bench. 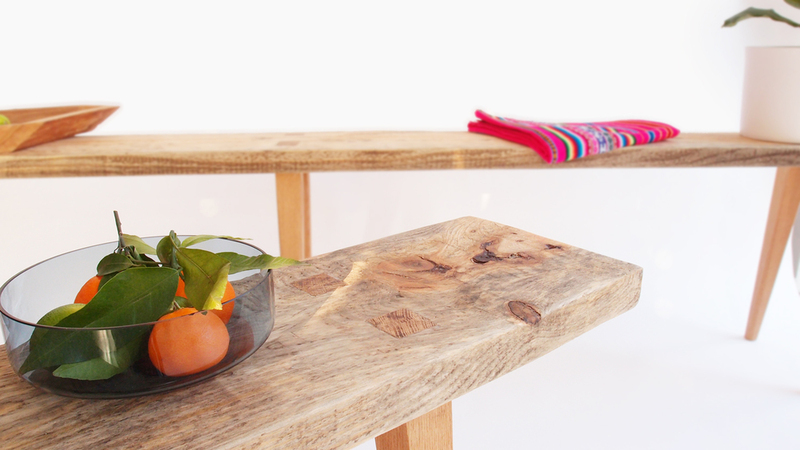 The Bench is simple and elegant and so is the idea: take old things and make them new again. M - 4 legs, 170 x 30 x 52 cm - now in the shop!